On the other side of the estate near the vila is a giant oak tree that just begs to have some bride and groom photos take under. 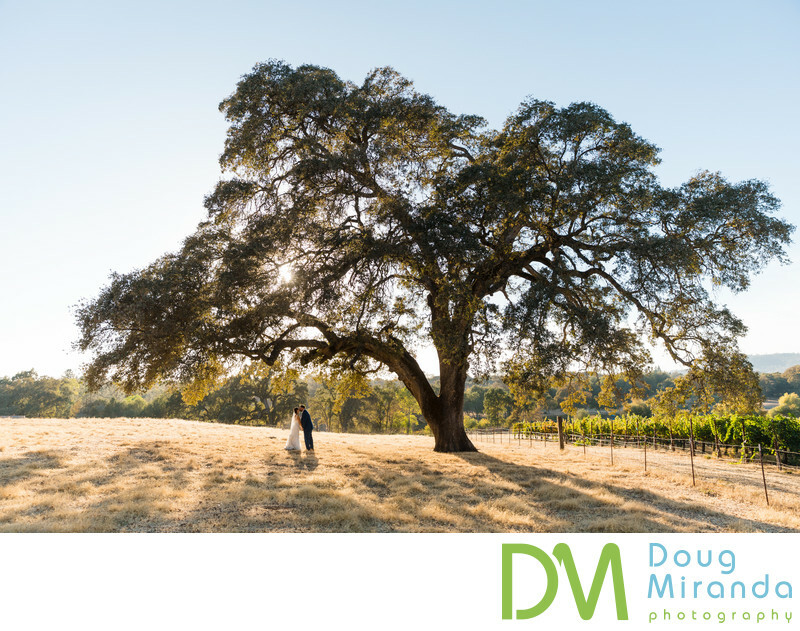 We went over to this side of the winery at sunset to capture some pictures of the bride and groom under this massive oak tree and in the open field near by. In this photo I ran back so that I could capture the whole oak tree in the frame. 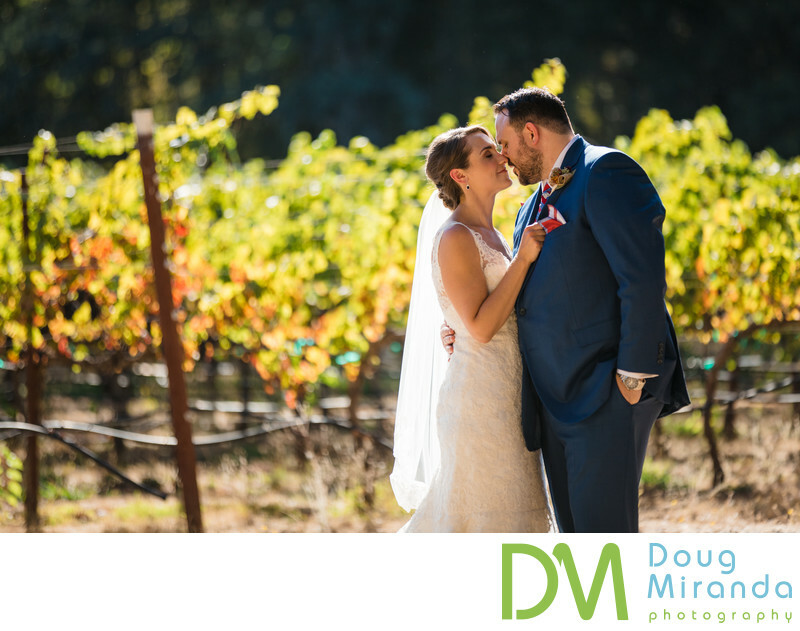 It show just how big it is and how small it makes this bride and groom look.